Today we welcome Kate Brauning to the blog to share a different type of craft article -- the rewards of doing the craft well. Publication! 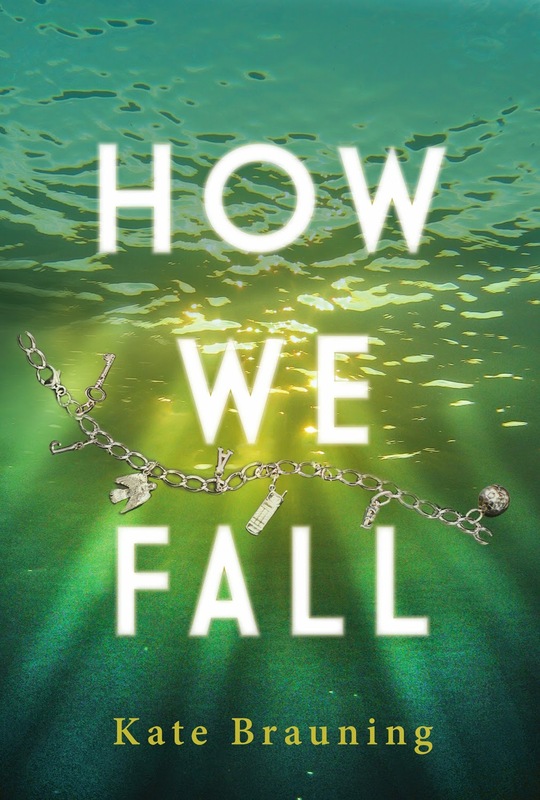 But with publication comes its own stress, and Kate is in a great position to tell us how to handle it as not only did her first novel, How We Fall, release this month, but she's also an editor with Entangled Publishing, guiding many other writers through their first release month and beyond. Release month is almost always a hectic, stressful time for authors. As an editor, I’ve seen my clients go through it, and my first novel just released on the 11th, so I’m going through it myself! Especially with all the different opportunities and strategies available to authors now, it’s easy to get bogged down, worry about what you aren’t doing, stress over what you are doing, and lose the excitement of it altogether. One thing seasoned authors kept telling me was that this one is special because it’s the first. Enjoy it. Do something for yourself. Celebrate in market-smart ways, but also celebrate in personal, zero-stress ways. One of the things I did to personally celebrate my release week was to go on a weekend writing retreat with my critique partners. It was so, so much fun, and a great stress relief. I planned as if my release day was 3 days earlier than it was, so 95% of what I needed to do, I already had done. I took very little work on the retreat with me. Also, it was tremendously good stress relief to not think about the launch and get back to actually writing that next book. And of course, my critique partners are the ones who have been through this with me, and getting to celebrate with them was so meaningful and just plain fun. Aside from celebrating for yourself, authors can do a few simple things to prepare for a book release that will make that week and month a little less stressful. 1. Author photos. Many authors have a friend take a photo, but there’s a big difference between a snapshot and a professional headshot. If you know someone talented, that’s great and definitely take the less expensive route. But first, look at the author photos of major authors in your genre and aim for that kind of result. Author photos are a significant piece of your marketing, and a great photo helps you look like a professional, and it might end up on your book jacket. It can take several months to line up a photographer, schedule the session, and get your edited photos back, so do this ASAP. I was interviewed by my own photographer, Jenni O Photography, where I discussed what I looked for in my author photos, so check that out if you’re interested. 2. Author website. Every author needs a website, even if you don’t blog. A site where readers can see your book and read a bit about you is definitely something you need as an author. You can design it yourself, but if you don’t have experience and talent there, hire someone. Friends who will cut you a deal can work out well, but again, look at the sites of authors in your genre who are doing well. See what’s possible for professional, clean layouts and informative, interesting content. Decide what kind of site you want, and then hire someone who can do that. Your website is another major piece of marketing, so to me, it’s worth spending a little money to have a quality website. Design, revisions, and launching the site can take a long time, too, so get started right away. 3. Street team. Many authors assemble a street team from fans, friends, book bloggers, and fellow authors. Not everyone wants a street team, and it’s important to be grateful, courteous, and reasonable with your team members, but they can be a huge help. 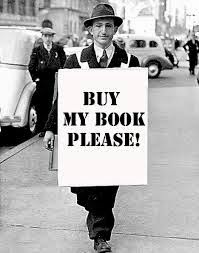 Many authors have street team members get the word out through book blasts, reviews, and social media, and they can help word about your book break out of your own circle of friends and fellow writers. Start building that street team immediately—you can start this as soon as you have a book deal. Keep in mind street team members need to be able to reach people you can’t, so look beyond friends and family members, though they can certainly be enthusiastic supporters, too. It’s also great to let your team earn some value for their work. I sent each of mine a welcome package with swag and an ARC, and prizes along the way. It has definitely paid off. 4. Think about your dedication and acknowledgements. A lot of writers take a long time to get these done because they mean so much to the author. These don’t have to wait until your editor asks for them, and waiting to do them until then can make edits even more hectic, so you can definitely start them early. At the very least, you can start a list of who you need to thank and what you need to thank them for—don’t lose track of those early beta readers. And keep in mind there are a lot of people behind the scenes at your publishing house who are working hard for your book. It’s not a bad idea to email to ask who has been working on it, so you can specifically thank people besides your editor and publicist. 5. Conferences. Talk to your editor and publicist (or figure out for yourself) what the plan is for appearances and conferences leading up to and after your book release. Early-bird pricing and promotional opportunities are a great reason to get started on this early, and if you know you have a conference during a certain week, it can be something you plan your other launch preparations around. That way you don’t have to cross conference days off an already-full schedule. Conferences, even just for the connections, are wonderful marketing. I’ve never been to a conference that hasn’t paid off well for my investment. 6. Launch Party. There are so many options here! An in-person party, an online Facebook or Twitter party, a bookstore signing as your party, etc. As far as I know, those are the three main models, and they all have pros and cons. Online parties can be impersonal, and I’ve seen a lot of online parties that are poorly attended, even though hundreds or even thousands of people were invited. Authors work hard on their launch parties to make them have fabulous content, but it is really hard to engage a crowd online for a long period of time. They tend to drop by, learn a bit about you and your book, play a game, and then move on. And that’s great if that’s how you want to reach your readers. In-person & bookstore launch parties can have the same drawbacks—a small crowd, and difficulty reaching new readers. They can also be expensive, depending on what you do, and they are limited to people within traveling distance. Of course, there are pros to both—reaching fans who can’t travel to you and lower costs for online parties, and more personal connections with in-person parties, etc. I did a blend of both, and hosted 9 other authors at a livestreamed book party, so readers could ask questions, see, hear, and interact with all 10 of us. The combined draw meant we had a large audience, and we discussed everything from publishing paths to movie adaptations. Can you blend models to limit cons? Release vlogs during an online party, for example, or host other authors to draw on combined platforms. 1. My advice is immediately start researching the opportunities and identifying your goals. What’s possible? Realistically—what will you have time and money for? Can you re-prioritize to change any of that? What are your boundaries? What sounds fun? Ideas you’re enthusiastic about will feel like less work than ones you’re already dreading, and they’re more likely to get done. What meets your specific goals for your book release? Some authors want the launch to build their platform, some want to push for ranking high on Amazon or bestseller lists, and some want a stress-free way to celebrate with friends and family. See what’s out there before you settle on anything, and think creatively. Talk to other authors about what worked for them. Do you want a book trailer? Can you do something high concept for your launch party? 2. When you do decide what you’d like to do, and when someone comes to you with an opportunity, calculate the time and financial investment, and choose wisely where you’re putting your hours and money. Keep in mind it will almost always cost more and take more time than you’re figuring. Chose the things that sound fun to you, because they will automatically be less stressful and you’ll be less likely to procrastinate on them! Also, choose the opportunities that reach a wide audience or allow for deeper connections with readers. 3. Order swag/promotional items ASAP. Calculate amounts you’ll need, and as soon as you have the information and images you’ll need for on any paper products (like postcards, bookmarks, and business cards), order them. Printing and shipping can take a while, and rush shipping costs can be expensive. This is something that can be done early and stored safely until you need them. My personal advice is to not spend a ton of money on swag. Thick, professional business cards and bookmarks that won’t crease are a great idea. (As soon as it creases or crumples, people tend to throw it out. Moo.com does fabulous, high-quality work.) Swag can be expensive, especially considering how much authors make per book sold, so keep that in mind when you’re laying out your budget—calculate what you make per book, and balance that against the value the swag will provide. Some of it depends on the book, of course, but I went with nice business cards, postcards, and book pins. I haven’t found myself needing anything else so far, though I might do a mix of postcards and bookmarks next time. 4. Don’t leave preparing for a few weeks before release. Treat it a bit like wedding planning. Make a to-do list for each event you’re doing for your launch, right down to items to purchase and announcements to make, and figure out which items can be done ahead of time. Schedule them into a certain day or week on your calendar. For example, if you’re doing a blog tour, start writing the posts three months in advance. One or two a week means you don’t have to scramble and you can keep your schedule balanced. You can even write your release day post early and have it saved as a draft to make changes to as the event gets closer. If you’re doing a book blast/blitz, you can write that material far in advance, too. This whole post is about stress management, really, but there are a few specific things you can do to help keep balanced and to enjoy your book release instead of dreading it. 1. Schedule R&R. And I actually mean plan it into your day. An hour for reading, an evening or two a week where you catch up on that show you love, time with your family and friends. You aren’t a machine, and if you act like one, you’ll break down. The most efficient, productive thing you can do during busy, demanding times is take care of your brain and your body. So rest well, eat well, and take that R&R. I’m not kidding. If I push myself hard a few days in a row with a stressful project, it takes me several days to feel like I’m functioning at 100% again. And don’t forget to schedule R&R for after your release—staying balanced will help reduce those nerves. 2. Disconnect. If you don’t need to be on Twitter or your email, close them. As it gets closer to my release date, I feel more and more bombarded by stats, reviews, emails, and questions. It’s overwhelming. Closing up email and social media frees up my concentration and lowers my stress levels. It can be tempting to stalk relatively meaningless rankings and count reviews, but don’t do it. Let yourself look once in a while if you have to, but several times a day or even once a day is usually both a time drain and a cause of stress. 3. Keep writing. One of the best things you can do for your book is to write another one. A new book is great marketing for the old book. Writing also lets us invest somewhere else, and helps us see that not everything hangs on this one book. And it can be fun and inspiring to keep working on a new project, and it can take our minds off everything about release day. Writers write, so keep writing! 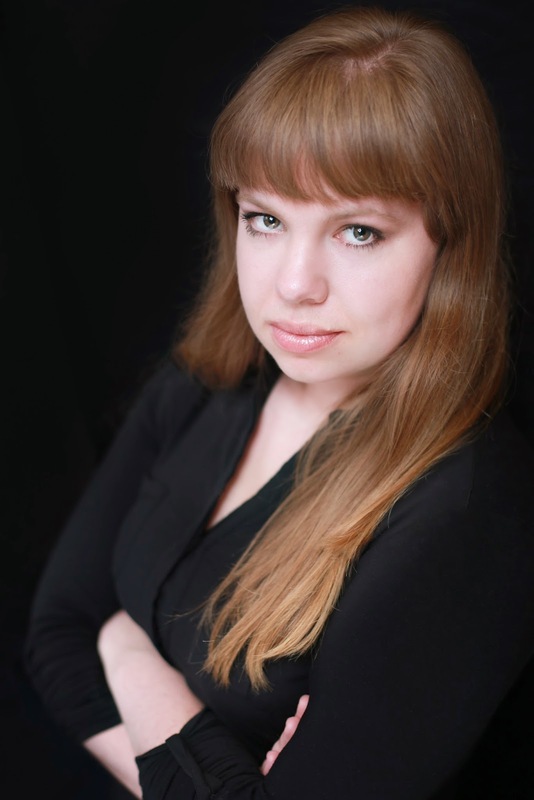 Kate Brauning grew up in rural Missouri and fell in love with young adult books in college. She’s now an editor at Entangled Publishing and pursues her lifelong dream of telling stories she'd want to read. Visit her online at www.katebrauning.com or on Twitter at @KateBrauning, and order How We Fall from Barnes & Noble, Amazon, or IndieBound. Her friendship with him has turned into something she can't control, and he's the reason Jackie lost track of her best friend, Ellie, who left for...no one knows where. Now Ellie has been missing for months, and the police, fearing the worst, are searching for her body. Swamped with guilt and the knowledge that acting on her love for Marcus would tear their families apart, Jackie pushes her cousin away. The plan is to fall out of love, and, just as she hoped he would, Marcus falls for the new girl in town. But something isn't right about this stranger, and Jackie's suspicions about the new girl's secrets only drive the wedge deeper between Jackie and Marcus. Fabulous post, Kate! So many helpful tips and advice all in one place. I confess to trying to do it all and I'm experiencing major exhaustion and burn-out - with deadlines for the next book. Oy! First Five Pages December Workshop is Now Open! November First Five Pages Workshop is Now Open!